We'll exceed all expectations for your property. Installing a new feature or giving your lawn a quick makeover is only the beginning of making sure your landscape property is beautiful and well-maintained all year round. 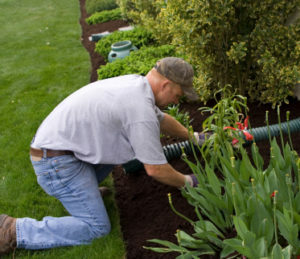 At EV Land, we understand that not all of our clients have the skills and equipment to keep up with landscape maintenance on their own, not to mention the time commitment it really takes to learn about all the different needs of your individual landscape design and what exactly is the best way to take care of it. Your outdoor landscape and property won’t take care of itself, but we know that being fully committed to the design is a very time-heavy investment. When it comes to transforming your property, experience makes all the difference. Reliable monthly maintenance is what you require, it's what we deliver. EV Land can service your property for as little as $65 a month. From designing your yard to preparing a programmed maintenance system. EV Land in Gold Canyon offers you quality landscaping services. With our programmed maintenance service we guarantee the survival of your plants and turf. Our landscaping services are perfect for estate homes, private communities and residential properties. We manage your property, so whether you need help on deciding where to start, how to maintain, or just how-to-keep-up, we can help. If you’re interested, you’ll be happy to know that our lawn and yard maintenance services encompass a wide variety of different upkeep techniques. Our comprehensive services include everything from full-service pool and waterworks maintenance, power washing, lawn mowing, garden weeding, irrigation checkups, and more. Your friends at EV Land want to ensure that your design is kept at its peak. Whether you’re starting from square one and need a full-on renovation before the regular maintenance, or if you’ve been taking care of your property yourself and no longer have the time, allow us to help you out. EV Land offers a monthly maintenance service, starting at only $65 a month. Give us a call at 480-999-5399 or contact us via email at eastvalleylandscapers@gmail.com to formulate a customized plan according to the individualized needs of your home, since we understand that no two properties are entirely alike and each needs to be approached and treated differently. We’re happy to come up with a specialized plan just for you to make sure that you’re satisfied with the results. We’re confident that our extensive team has all of the resources and equipment you need. We are your East Valley team for all your outdoor needs. Located in Mesa we serve surrounding cities. Gold Canyon is where much of our landscape designs can be seen. We also have developed many new build property landscapes in San Tan Valley and Queen Creek including the Johnson Ranch area. We also provide design and regularly monthly maintenance services to Gilbert, Mesa and Apache Junction. We look forward to becoming the last landscaping company you'll ever need!